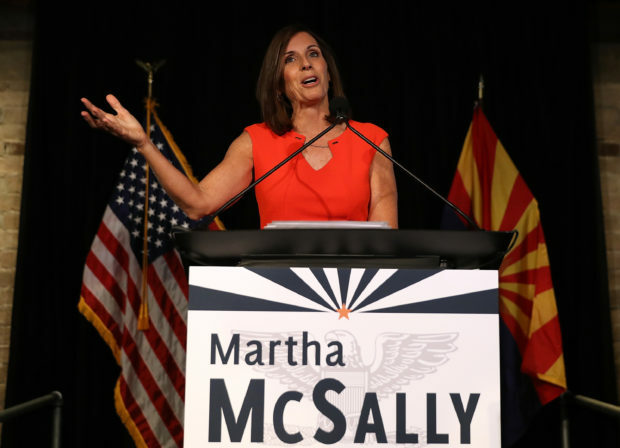 Republican Rep. Martha McSally explained on Wednesday night’s “Hannity” why she requested an apology from her challenger for saying she didn’t care if Americans joined the Taliban. Her Democratic challenger, Kyrsten Sinema, said she didn’t care if Americans joined the Taliban during a radio interview back in 2003. McSally demanded Sinema apologize to veterans and herself during their debate on Monday night. “Martha, you were serving after 9/11, correct?” Hannity asked. “Maybe it’s okay, you can call Arizonans crazy and the meth capital and all of that but it gets serious. It’s okay to join the Taliban? Seriously? She said that. How was that a smear if you are just asking for an apology for what she did and said?” Hannity asked.